Below is our review of the Amazon Kindle Fire HD, a 7" tablet, featuring a 1.2 Ghz dual-core processor and 16GB memory, with 11 hours battery life. Pros: More portable than an iPad, amazing sound, small and lightweight, decent battery life and very competitively priced. Cons: None to mention - too small to work on, slightly less choice of apps, ideal for everything else. Overall, we loved this tablet - great audio, screen, and battery life, at less than half price of an iPad. 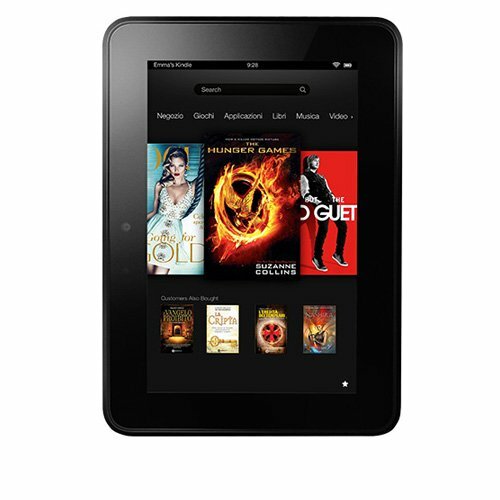 Ideal tablet for both at home and when out and about - the Amazon Kindle Fire HD is the perfect compromise between size and function. Buy one today!